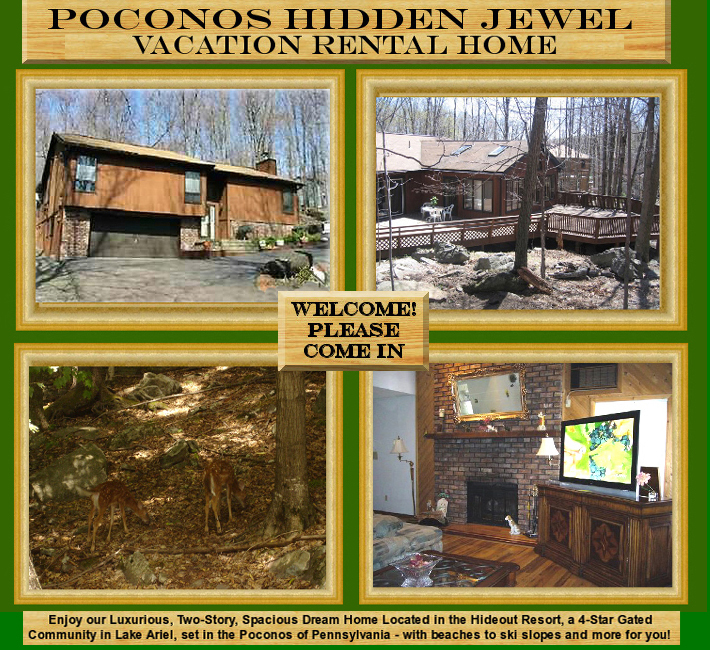 Check out our Poconos luxury vacation home rental located in the 4-star Hideout resort in Lake Ariel, Pennsylvania. This two-story dream home vacation rental has 4 bedrooms, 2 ½ bathrooms and sleeps 10 -12 people comfortably. Enjoy the large deck, BBQ grill, 50-inch plasma TV and hot tub at this Poconos luxury cabin rental. There’s plenty to do and many ways to relax at this family vacation rental in the Poconos.